A passion for solving difficult cases makes Franco Soneri the best investigator in Ferrara, Italy - but it also makes him a hard man to manage. He's brusque and irascible, but he and his team manage to uncover what others might prefer to keep hidden. Cases from season two include two senior citizens found in their car at the bottom of the River Po, a body of a woman washed up onto its banks, a hit-and-run fatality, the brutal killing of a prostitute, a murdered teenage girl and a high-profile attorney found dead in his apartment. 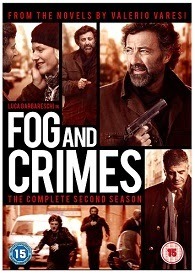 Filmed on location in the atmospheric countryside of northern Italy, these mysteries are based on the characters from the bestselling crime novels by Valerio Varesi.